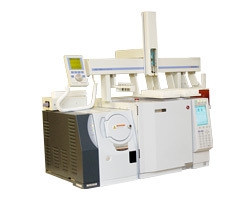 KD Analytical provides training and regional repair response for the Shimadzu GC/MS. From PMCS practices designed to minimize consumable use and down-time to customized Con-Op driven training, KD can provide the tools necessary to manage both the equipment fleet and training and phone support for the personnel who run them. KD Analytical Maintenance Management is a suite of services that can save you money and time while helping to guarantee the readiness of your Shimadzu GC/MS and all of your analytical instruments. ReadiTrak web-based asset readiness manager tracks instrument status, preventative maintenance, repair history, and maintenance costs of your Shimadzu GC/MS instruments and virtually any other gear your count on to do your job. One-call, 24x7x365 reachback support for Shimadzu GC/MS and all of your instruments, regardless of manufacturer. Our analytical instrument experts help you complete most maintenance over the phone, saving you money. Expert repair for your Shimadzu GC/MS provided by our support center. And, we manage OEM/warranty repairs when needed, eliminating headaches and reducing downtime for your team.